and once for the guy at my dad's work who fixed my (very old, and very bashed around) pink laptop. 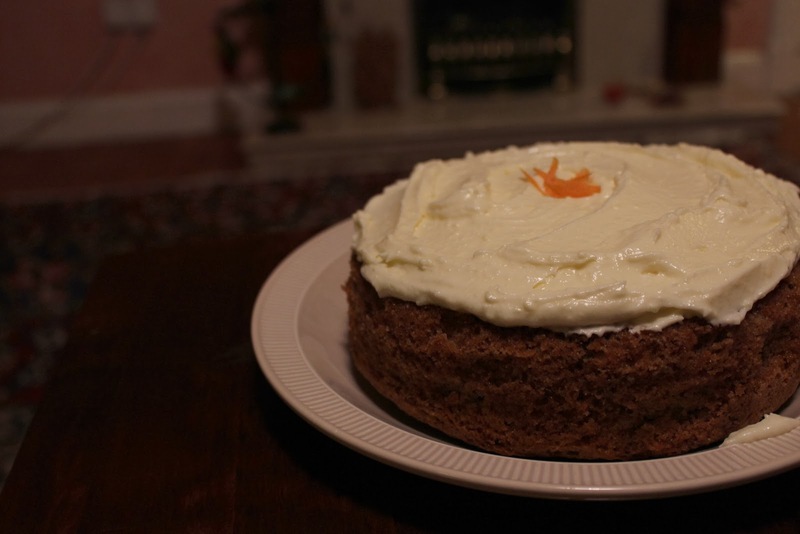 A light carrot cake with lots and lots of icing is what I like, so that is precisely what I made. 1. A 23cm (ish) spring-form tin is best, and line with baking/greaseproof paper (might need some butter to make it stick down), then once it is lined, grease the whole surface with butter. 2. Sift together the flour, baking powder, bicarbonate of soda, spices and salt. 3. Separate one of the eggs into yolk and whites. 4. In a large bowl, beat together both the oil and the sugar. Add the whole egg (the one that you didn't separate) and beat the mixture well before adding the yolk (do not add the whites). Stir in the grated carrots and chopped walnuts (you could also use stem ginger instead of walnuts if you like). Fold in the flour and then add the boiling water. 5. In another bowl, whisk the egg whites to soft peak stage. Fold into the batter. 6. Put the mixture into your lined tin and bake for 45mins at around 170 degrees for a fan oven, maybe a little higher for other ovens. 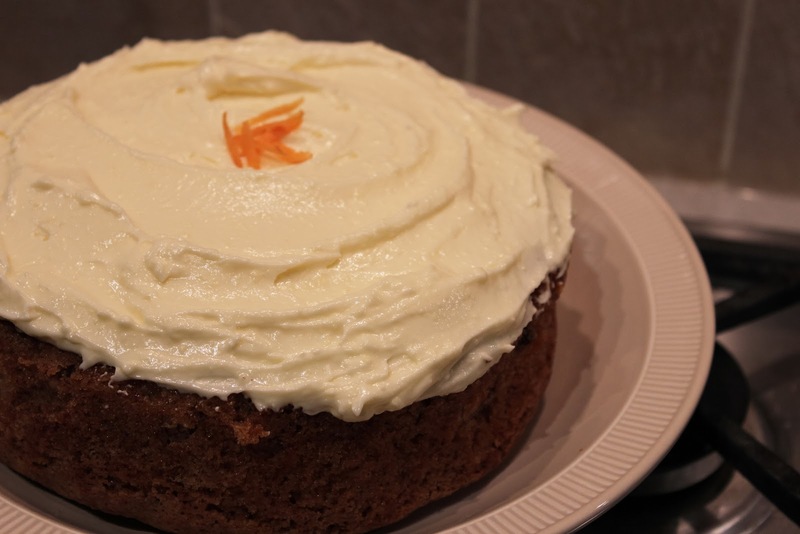 Just make sure that you bake it until a skewer inserted in the centre of the cake comes out clean. Let it cool before removing from the tin. 7. For the icing: mix all the icing ingredients together and spread on top of the cake. 8. 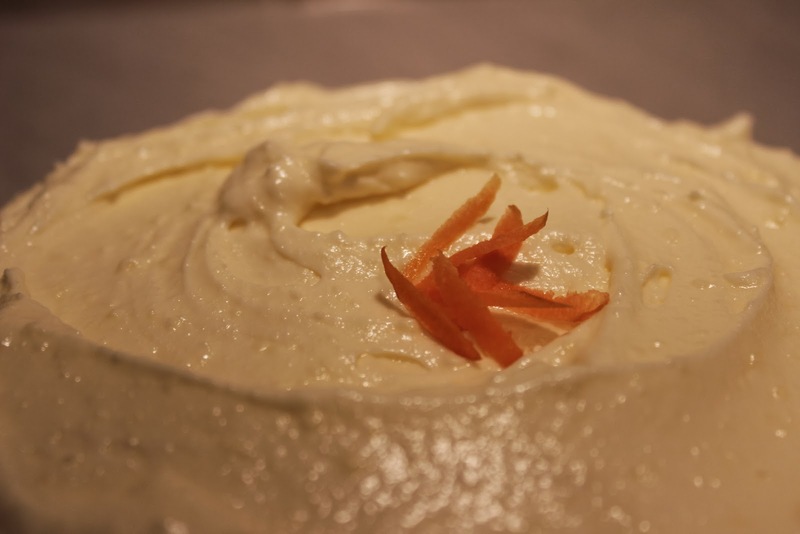 You might wish to add a little carrot grating, or walnuts or some stem ginger on top. Eat up with some tea and good company for best results. Yummy! I am going to have to try this one.